Chris embarks on an incredible journey in Larian Studios' best RPG yet. About this time last year I began a journey that would redefine what the RPG genre was to me. To understand what the significance of that statement is, I need to explain how deep my adoration for the genre goes. In 1984 I faced Exodus in Ultima III, he was my first and started me down a long and wondrous path. Along the way I have listened to many of The Bard’s Tales, wandered the Wasteland, and marvelled at great feats of Might and Magic. I have borne the Curse of the Azure Bonds and stared into the Eye of the Beholder. I have faced The Death Knights of Krynn and journeyed the Lands of Lore. I have passed through Baldur’s Gate twice and lived through the torments of the Planescape. A long time ago I fought among The Knights of the Old Republic and The Sith Lords. In more recent years I have walked amongst the Pillars of Eternity, hunted with The Witcher, and even played the role of Shepard and determined the fate of the galaxy. Each one of these adventures and dozens of others left an indelible mark on me as a gamer. I am an RPG gamer. It is the genre that made me a gamer, and in many ways is why I am still a gamer as I head into middle-age. There have been disappointments and outright disasters over that time, but most of the adventures I was more than happy to undertake and in a few cases revisit time and time again. I could write pages about cornerstone experiences and “game-changers” over the last 30+ years, and maybe some day I will. But standing above all of them is one game that brought everything together in a single package. That game was Divinity Original Sin II. Back in 2017 I awarded the game 10/10 and called it the best game I had played this millennium. A year later this statement still holds true, but things have changed so I will need to amend that statement, but that can wait until the very end. 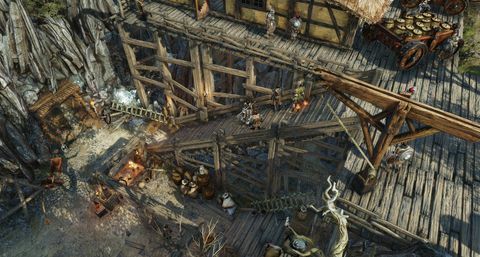 Divinity Original Sin II – Definitive Edition is not just a refined version of the original game, it demonstrates just how dedicated Larian Studios is to its fans. Over the past year the team has actively taken on board feedback from players as well as making numerous additional refinements, adding features, and functionality. This is not just in aid of making a better game, but to make it a better fit on consoles. PS4 and Xbox One owners can now experience this epic masterpiece on their platform of choice. All of this without sacrificing anything in the transition… well almost anything. not just a refined version of the original game, it demonstrates just how dedicated Larian Studios is to its fans. 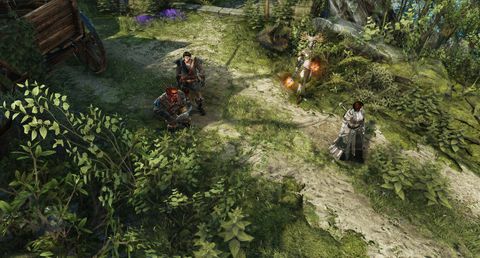 To new-comers my original review will give you a relatively in-depth overview of what DOS2 is, as the Definitive Edition does not make any sweeping changes to the core of the experience. But for those wanting the quick and dirty here it is. 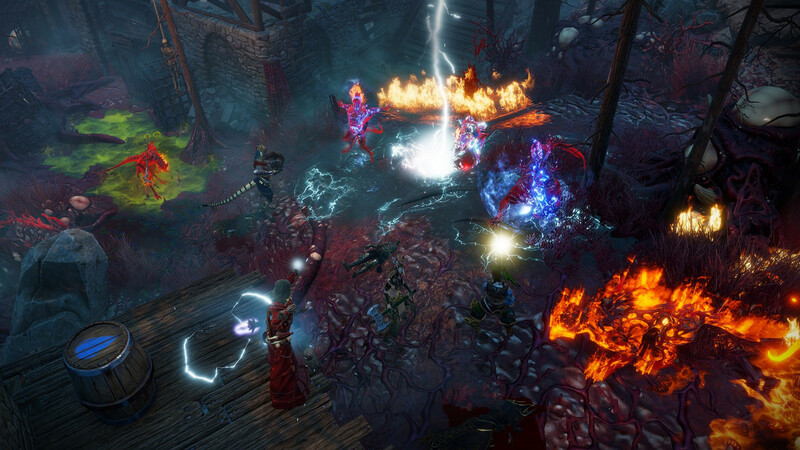 Divinity: Original Sin 2 is a story driven party based tactical old-school fantasy RPG. 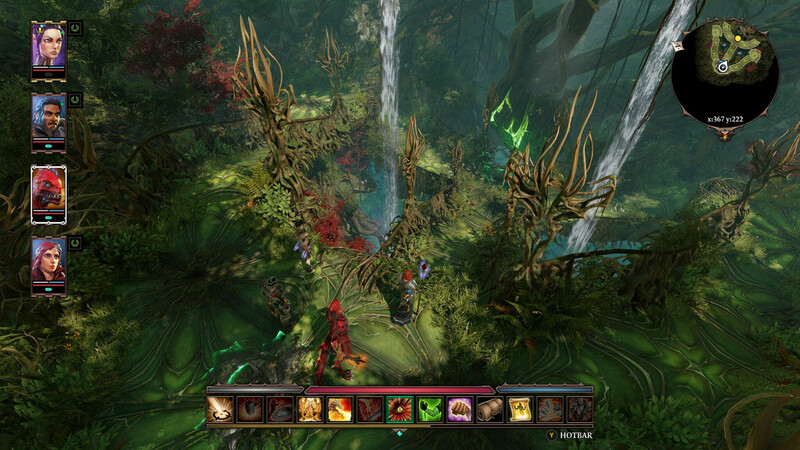 Combat is turn-based and uses an astoundingly deep and robust environmental interaction system. You can for instance freeze a puddle to stall enemies, then vaporise it to create a steam cloud which blocks line of sight. You can then poison the cloud to do damage over time to anyone caught within. This is one of the more basic combinations, there are many more to be discovered and exploited. 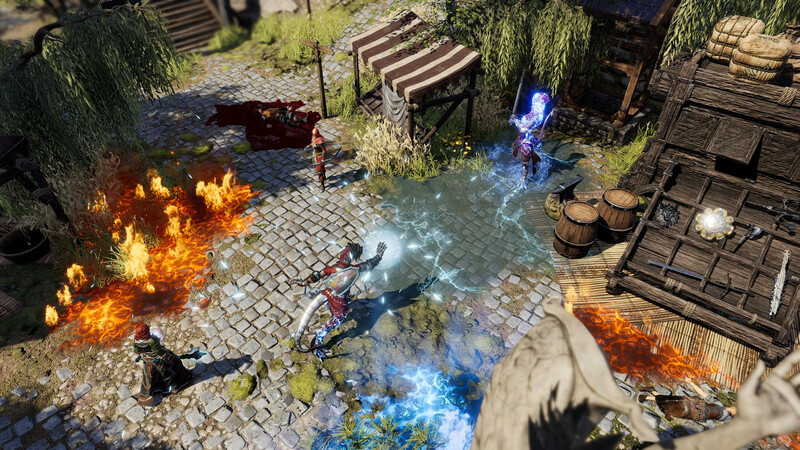 Outside of combat you will find a deep and involving central story dealing with the nature of divinity itself, and a game that will let you do pretty much anything you can think of. 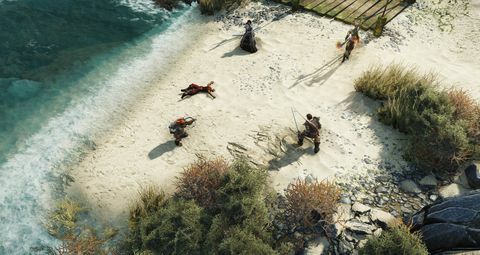 DOS2 provides more freedom to do as you want than any RPG that has come before. All without ever breaking the main questline. Freedom really is at the core of the whole experience. You are open to tackle any quest in pretty much any order you like and however you want to. Your choices however do have consequences, and they may be far reaching, impacting not only NPC’s but members of your own party. Outside of combat you will find a deep and involving central story dealing with the nature of divinity itself. So far I’ve pretty much retread a lot of what I have said previously, so from now on I will focus on what’s new, different, and/or improved. First up is that I played the Definitive Edition on PS4 Pro not PC. Despite being a stalwart mouse and keyboard guy, I found the controls very easy to pick up, with smart contextual choices made by Larian to keep things as intuitive and accessible as possible. That being said a controller is simply not the best option for a game of this type. Navigating through your gear can be annoying despite the spiffy new shared inventory and redesigned UI that Larian have added to the Definitive Edition. But that is only one shortcoming of the control scheme, the real crux of the issue is in interacting with the world. Almost every item in-world can be interacted with or picked up meaning you’ll be tapping the bumpers like crazy in order to cycle through all the close by interactive objects. It never feels natural or as immediate as you would like, so as a result I found myself spending less time diving through all of the finer details Larian have included hidden in plain sight. This is a shame as there is a lot of content in the game that can only be discovered by interacting with these objects. Combat too becomes a little clunky when using a controller. Setting up big environmental combos takes a little more time, and the lack of hotkeys makes accessing spells and skills a little more laborious than I am used to. These issues are never experience breaking and I expect console gamers will take to this control scheme better than I have, but it’s clear that this was a game designed originally with a keyboard and mouse in mind. You can freeze a puddle to stall enemies, then vaporise it to create a steam cloud which blocks line of sight. You can then poison the cloud to do damage over time to anyone caught within. 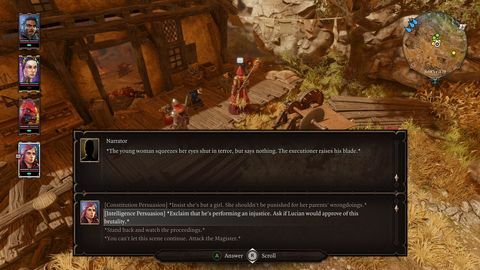 If I had to leverage a criticism with vanilla Divinity: Original Sin 2, it would be that it was less than welcoming to newcomers. It’s a complex game that didn’t do the best job if acclimatising players to the world or its game mechanics. This thankfully is something Larian has addressed in the Definitive Edition. A new expanded tutorial section does a great job of explaining the many ins and outs of the core mechanics, while demonstrating that even more is possible should you wish to experiment. The end-game too has seen some significant improvements. The final chapter has been expanded and rewritten to give players an ending that is as compelling and satisfying as the game really deserves. The new quest log is far easier to use and makes locating specific NPCs a lot easier. On top of these significant refinements are a multitude of quality of life improvements and tweaks. The new quest log is far easier to use and makes locating specific NPCs a lot easier. I did have a few quests in the vanilla version that I never completed because I forgot where someone was, thankfully that was not an issue here. There are also a bunch of improvements to textures, physics, and loading times. Some fights have been rebalanced to be a little less unfair, but not once did I find the game too easy so anyone worried that the game has been dumbed down need not worry. That being said if you’re more interested in just following the story or want an easier game experience there is a new Story Mode which makes the game more approachable for players less interested in the complex tactical combat aspect of the game. I thoroughly enjoyed my time revisiting Divinity: Original Sin 2 on PS4, it was a very different experience for me in a number of ways. Many things are better, but some are a little worse. Visually the game is stunning, but the framerate is locked to 30 fps which for me is an issue. The big issue though is the control scheme. As a PC gamer I never really felt completely comfortable with the controller, but it is a testament to the quality of the game that I still adored it despite this constant albeit minor niggle. 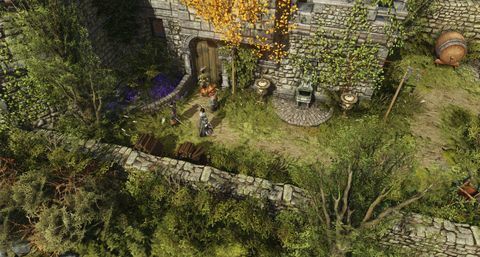 I adore the Definitive Edition of Divinity: Original Sin 2. I will likely be jumping straight back in to play it again on PC as soon as it releases. As all of these improvements are coming to PC for current owners 100% free! Regardless of platform I cannot recommend this game enough. Last year I named Divinity Original Sin II the best game I had played this millennium. This year I need to amend that statement. 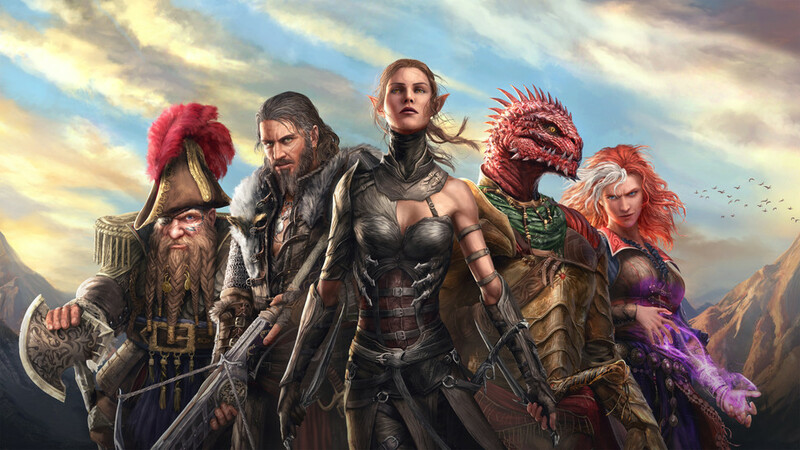 Divinity Original Sin II – Definitive Edition is the best RPG I have ever played. Its transition to console might not be a smooth as I would have liked, but there are a slew of improvements and welcome additions that make it more than it was, and the exceptional quality of the game is undeniable. Ups Exceptional storytelling. Complex and challenging combat. Improved opening and closing acts. Interactivity and reactivity that are second to none in the genre. More approachable than ever for newcomers. Downs Controls are not as tight as I would like. Lower framerate on console.